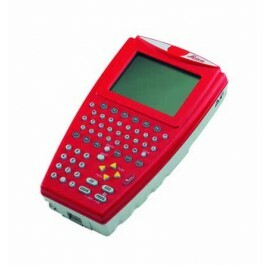 The MCP950c is a WinCE controller which is used to interface with the PowerTracker(X). The controller can be used at the instrument connected via Bluetooth or RS232 or remotely from a variety of radio modules. By combining the MCP950c with Smart Holder all equipment is integrated on the pole for easy to use one man surveying. The MCP950c is also fully compatible with the entire range of Redline GNSS sensors giving the user an efficient and economic solution to all sensor control needs. The full QWERTY keyboard of the MCP950c makes it easy and fast to enter alphanumeric point numbers, select or enter codes or even short descriptions.